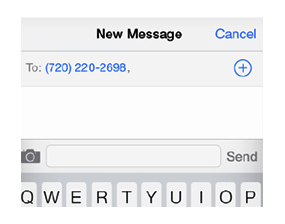 Allows users to text your business with a preprogrammed cell phone number in the App, with just one click! This can be used for businesses that need to instantly reply to its users. For example: A car rental company may use a feature like this to allow users to text them in the case of a breakdown.